The White monastery (gompa) is located next to Swayambunath (monkey temple), southwest of Kathmandu. It's 7.5 km from Thamel and takes around 30 minutes drive. 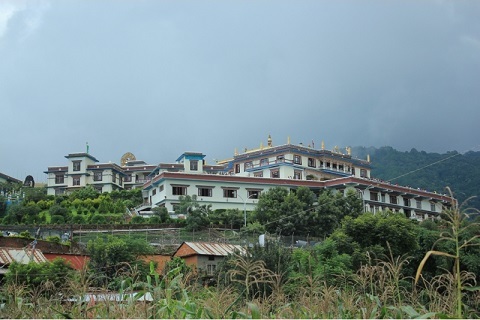 The White Gompa, also known as Druk Amitabh Mountain and in Nepali language Seto Gumba, lies in Ramkot village development committee, the west outskirts of historical Kathmandu (Capital City) in Nepal. 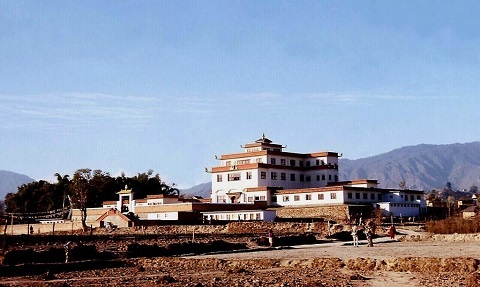 The White monastery of Nepal is almost the most visited Buddhist pilgrimage destination. 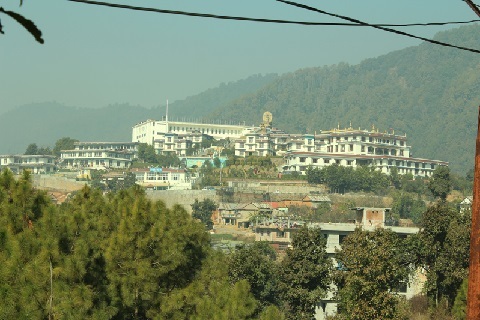 The Gompa overlooks the Kathmandu Valley and has remarkable sun rise and sun set views as well as a magnificent clear view of the valley and green hills. It also has a spectacular and panoramic view of the mountain range in the north/north-east side of Kathmandu. 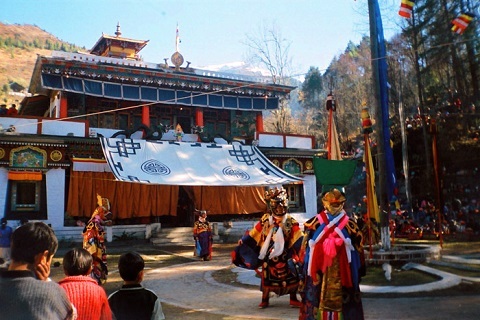 The White Gompa is built in Tibetan style architecture, that is rich in Tibetan Buddhism Culture. - Transportation in private car.